Can a girl ever be too rich? We don’t think so, and sometimes richness is what we crave in a handbag too! OMG I am in Love with this bag! 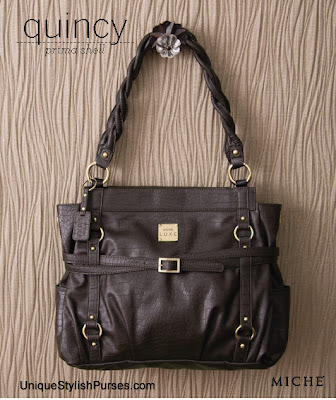 The Quincy for Prima Bags features faux leather in deepest dark chocolate. An overall crocodile pattern and sophisticated criss-cross buckled strap details with rich antique brass hardware will make you feel and look like a million dollars every time you wear her.